The following information came from Texan Mark and his website TexanMarktailgate.blogspot.com. Syracuse is the northernmost school in the Atlantic Coast Conference. It is a relatively short trip from Boston College and Pittsburgh (4.5 to 5.5 hours respectively). The other schools within a reasonable drive for a weekend game are 7.5-8.5 hours away (UVA and VTech). Louisville and the Carolina schools are too far to drive to unless you have 3 or 4 days or love spending 11-12 hours in a car. Flying into Syracuse is fairly easy. It is a small/mid sized airport but beware that some of the airfares can be artificially high. The airport has an ongoing much needed renovations from 2013-2015. When completed it will be much brighter, cleaner and offer better concessions. Jet Blue generally has the lowest airfares and have helped to lower airfares into Syracuse. Airlines like Delta, American, US Airways, and United often will meet or beat flight rates into Syracuse from Jet Blue cities. If you are not flying out of a Jet Blue city you might discover very high air fares. The airport currently is lacking other discount air carriers with the exception of Allegiant Air. Currently Allegiant flies to/from Tampa/St. Pete, Ft. Lauderdale and Myrtle Beach. If you are flexible flying in/out of nearby airports (both origin and destination) you can sometimes save 100’s of dollars. If you are going to rent a car anyways you might want to check into flying in/out of Albany, Buffalo and Rochester (all are within 2 hours of Syracuse) for lower airfares. Southwest serves Albany, Buffalo and Rochester. Ithaca Airport (50 mins Southwest) is also worth checking out.NOTE: Airfare differences between various Upstate NY cities can vary greatly. The Syracuse airport is about 5 miles north of the downtown/university areas, many local motels will pick you up in their courtesy shuttles if you want to avoid renting a car. The great thing about Syracuse is 500,000 people live in the city and suburbs but you are usually never more than 10-15 minutes away. The train station and bus station are co-located about a mile north of downtown and it is a short but treacherous walk (under an I-81 overpass) to the huge DestinyUSA Mall. You can catch a bus or cab from the train station to the university. Syracuse is home to the humongous mall Destiny USA and after 10 years is finally starting to evolve into a first class destination. Personally I would reserve this for bad weather days or a place to drop of folks in your group who aren’t as big a football fan as you on game day. It has hundreds of stores but also has awesome destination restaurants and attractions for both young and old. Wonderworks and Pole Position Raceway look like it is a great place to bring the kids. New for 2015 is a Margaritaville and 5 Wits adventure. 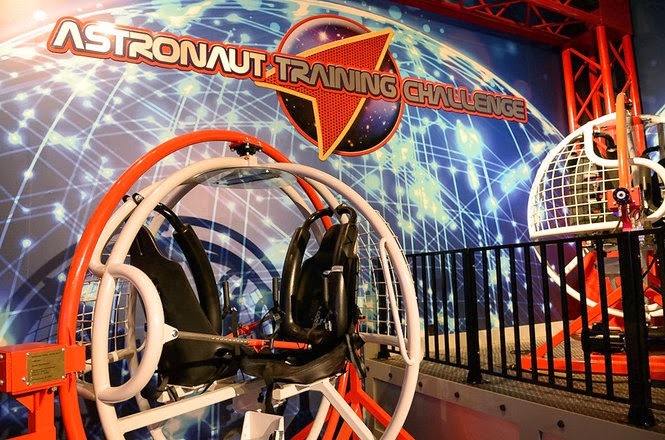 It is a cutting-edge, live-action entertainment venue that immerses participants in realistic, hands-on adventures, challenging them to prove they have what it takes to battle a Pharaoh (Tomb) or save the world (Espionage)!. Syracuse is located in one of the most beautiful areas of the country. If you have an extra day or two you should check out Niagara Falls, Turning Stone Casino, Cooperstown and the World Famous Baseball Hall of Fame, Thousand Islands or the Finger Lakes wineries (all are within 2 ½ hours of Syracuse). A national travel writer recently named the Finger Lakes and the 1000 Islands in the Top 10 of all Lake Districts in the world! Cruising famous Skaneateles “Skinny-Atlas” Lake on a boat is a favorite way to see the lake. For the fishermen in the Fall: World Class Salmon and Steelhead fishing is just 40 minutes north in Pulaski. If you really want a special trip try mixing in fishing and stay up in Pulaski or Altmar for a few days. A few more suggestions. Finally, something for the kids close by: Big Don’s Wild River is about 15 minutes from Downtown in Cicero. Another kid friendly place is Old McDonald’s Farm about 60 mins north in Sackets Harbor. About 45 mins south on I-81 is the Greek Peak Resort offers an indoor water park, motel rooms and other outdoor activities. NOTE: Be sure to bring a Passport, NEXUS Card or Enhanced State Drivers License to visit Canada. Finding the Carrier Dome is fairly easy. It sits just east of downtown and is perched on top of a hill overlooking the city. Parking is not as easy. However, the University provides a nice overview and has it broken down to the three main parking areas. Read below to see which set of directions you should use. A link with interactive maps of all the Campuses. Good Maps to Print: Main and South Campus. Syracuse provides a wealth of parking info here. A nice printable map shows the permit parking lots as well as the non permit day game lot at Skytop. To reiterate: best advice is to arrive 3-4 hours before kickoff and scout around for a spot. If you have a noon kickoff show up by 9am and you should be okay. The Syracuse tailgating scene is one of lots of small tailgates spread throughout the campus. This is due to the Carrier Dome being built in the middle of a cramped campus with little close by parking. If you are a visiting fan you can find tailgating/parking options in the University area but it will be mostly by private vendors. Along with traditional cash lots try the fraternities/sororities on Walnut Ave, parking garages (Sheraton Hotel, a few others can be found around Crouse and Irving Avenues a few blocks north/west of the Dome), and off course some private residences. Expect to pay about $10-20 to park. Campus Permit Lots: If you are lucky enough to have a permit parking pass there are several nice lots near the Dome for parking/tailgating. The Stadium West Area (the lots just to the west of the Dome in the direction towards I-81) is particularly in high demand as capacity has been reduced the last few years for new buildings PARKING TIP: Syracuse started in 2009 printing individual “hanging parking passes” for these premium donor lots. Each game has a separate pass you hang from your rear view mirror. It makes it real handy for someone who isn’t going to the the game to let you use a pass for a specific game. The school says they are not transferable but it isn’t enforced. The face value on these parking tags near the Dome are $30. This doesn’t count the additional donation to have the privilege to purchase with season tickets. MLK Magnet School Parking: If parking across the freeway doesn’t bother you (it is in a poorer neighborhood but is relatively safe according to people who park there) this is a great option. It is about an 8 min walk to the Dome and up through the heart of the Stadium West Parking area. If someone is there to collect money it is $5, if not it is free. Just park on the side closest to I-81. Map to help the directions make sense. Walk over to Castle Street (south), head under the I-81 overpass the road turns left and becomes Renwick. Continue walking north on Renwick until you come under the Fineview Overpass. Just on the far side of the overpass is a set of concrete stairs. Walk up those stairs. They will come out near the corner of Raynor and Fineview. Walk towards the old train station (south)…turn left and go up a big hill on Raynor. That leads you to the dome. Adams Street Cash Lot: Another area is to drive up Adams St from I-81. Stay in your left lane (one way street)and just past Irving Ave look for a cash lot on the left side. This one is fairly popular and I suggest arriving no later than 2 hours prior to kickoff. Harrison Street Cash Lot: Here is another lot suitable for tailgate fans showing up in several different vehicles. It is tailgate friendly. However, you will need to walk a few blocks away for a bathroom. It is just west of the Harrison and Irving intersection as you head down Harrison (west towards I-81). Enter on Harrison from the right lane, about 100 feet down the hill on the right side from the Irving/Harrison intersection. Harrison (one way down the hill to I-81) allows a fast escape to the interstate highways. Campus “Free” On-Street Parking: If you decide to try your luck with on street parking in the Stadium West area (west of the Dome, streets between Dome and I-81) you need to arrive at least three to four hours early. Usually big orange barrels are set up on the side they don’t want parking. If you find a space open and you aren’t blocking a driveway or too close to an intersection or fire hydrant park there. Bottom-line: parking is only allowed on one side of the street. They will ticket and tow. THE SWITCHOVER IS 6PM AND IS STRICTLY ENFORCED.PARKING TIP: If the kickoff is at 3:30pm the Syracuse cops should allow you to park past the 6pm switchover if you leave quickly after the end of the game. Just be sure to ask a nearby cop to double check they are still are allowing a short grace period after the game end. If you have a small tailgate crew you (as a visitor) shouldn’t have a problem tailgating in nearby grassy areas. Fans actually set up small tailgates on the strip of grass between the curb and sidewalk. Just don’t set up in the prime spots in the lots as regular Cuse fans might raise a stink. I-81 Underpass Parking: Another spot to park within walking distance of the stadium west tailgate lots is to park under the I-81 overpass. These are tailgate friendly spaces under I-81 on Almond Street for $10-15 (you need to be in good shape as you have to walk up a hill to get to the Dome or Stadium West parking lots). There aren’t a bunch of spots but they are filled with tailgaters. University Area Parking Garages: The university does offer two parking garages for game day parking without a permit. University Ave Garage and Booth Garage are available ($25) and most important be sure to ask when they are closing–I have heard they close 2 1/2 hours after the end of the game. Additionally there are a few other parking garages in the area. The onejust south of the hospital complex along Irving Avenue and Waverly Ave. and charges $15. It is very popular as you are next to the bars and restaurants of Marshall St. The Sheraton Hotel garage also allows game day parking for about $20-25. If you park at any parking garage obviously take a spot on the roof if you plan to tailgate. Don’t even try cooking with propane or charcoal in the garages. You are smart to send a scout out early to claim a spot. For 12:00 kickoffs you should be able to find a decent spot as late as 9:30am. For 3:30pm or evening kickoffs you should arrive 3-4 hours prior. Skytop Lot and RV Parking: The University recommends visitors without passes to park at Skytop, this map will give you a good overview of where it is in relation to the main campus. It is located about 1.5 miles south of main campus. If you want a traditional grassy lot this is the place. From the main campus just past Manley Field House. Shuttle buses are available and free and run continuously two hours before football games from both Skytop and Manley. Out of town RV’ers must park at Skytop. (The old Henry Lot in Stadium West Area for RVs and Buses is forever closed due to new student housing) Here is a visual look at the Skytop area. I have been told RV’s can park at Skytop the night before the game. You should call parking services to check though. Good News for RV’ers they charge the same price as cars to park (About $12). Tailgating out at Skytop is very good with grassy areas to spread out. It is usually the most popular area for visiting fans to go to. The disadvantage is you need to take the shuttle to the game. It is about a 1.5 mile walk but it is a scenic walk on a nice day. Bottom line: if in doubt before game day call the parking services department on campus for more info. The University has rolled out free WiFi around campus. It has not covered all the areas yet but it might be worth checking the link for hotspots. Wireless access is available for guests with laptops and hand-held devices. AirOrangeGuest provides unsecured access and available on a temporary basis. You need a text enabled cell phone and of course your computer. Hopefully you’ll be able to stream some ESPN3 games while tailgating. CENTRO (the local bus company) offers several great options from the Clay (10 miles NW) and Dewitt (3 miles E) areas. Out of Towners if you find yourself staying near the Great Northern Mall(I-481 and SR 31) in Clay (North Side) or Wegman’s Grocery Store in Dewitt (near I-481 and SR 5 on the east side) this could be a handy stress free option. NOTE: It is express service and it arrives shortly before kickoff. For Downtown Shuttle buses see next section. Update for 2015: Sharkey’s Orange Machine Shuttle is no longer running from the northern suburb of Liverpool. NOTE: As of March 2008 the Orange Express Train Service was discontinued. The good news: merchants around Armory Square are still running buses from Armory Square to the Dome. Okay so no train. You can still “bar hop” downtown and take a shuttle bus from Armory Square.Armory Square is a fabulous area of entertainment choices about 1.5 miles away in Downtown Syracuse. It literally was a decaying old warehouse area that was rejuvenated in the last 25 years. There is plenty of parking downtown. The local bars and restaurants are running a free shuttle buses that leave from Walton Street in the heart of Armory Square. They start bus service 40 minutes before kickoff and go until 20 minutes before kickoff. After the game go back to the same spot you were dropped off at and take the bus back. IT IS FREE! The merchants hope you party before and after kickoff with them. I would certainly stop in and give them some business. However, if you want to tailgate find a nearby parking lot and go for it. I can’t vouch for how the tailgating is downtown anymore since the train left and I tailgate in Stadium West now. However, it is okay to tailgate in the lots downtown. Here is a map of all the parking downtown. Lincoln Center Lot: You can park outside of business hours at a county owned lot at Lincoln Center (southeast corner of West Washington and South Clinton). It’s a block from Clark’s Ale House and apparently free after 6:00 p.m., metered before that. It is also free on weekends but it’s a great location and a surface lot (with tailgating potential, of course). Trolley Lot: It was closed for a major groundwater project and has reopened! The Trolley Lot is large and RV friendly. It is currently free. Enter through a tunnel off the circle around the MOST Museum. Look for the tunnel under the train track here to the Trolley Lot (Use the streetview option to get a picture). Future Parking rates are TBD. This is your best lot for larger scale tailgating downtown. 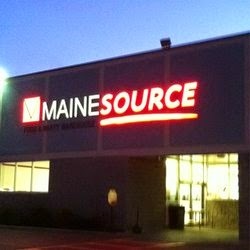 My favorite spot for tailgate and food supplies is Maines in North Syracuse (about 1 mile from the Airport). They have great prices and should have almost everything you need for your tailgate. They offer a 5% Military Discount. New to Syracuse is the first Costco Warehouse in Upstate NY. It is located about 10 mins west of downtown in Camillus. If you are a member another great choice for tailgate supplies. Money Saver Tip: Wegmans, Price Chopper and the Top’s Grocery Stores in Syracuse use loyalty cards. If you are a one time shopper usually if you ask a person in line they’ll let you borrow their card to swipe for the discounts or the checkout person sometimes will swipe a card for you. If you can’t drive and are tailgating on/just off campus and need some beer/food. The closest walkable place is a Quickway Food Mart at 701 Crouse and Adams, Ph 315-475-0900 (about a block north of Marshall Street Ticket Scalping Area). They offer a limited selection of beer and some food stuffs. Also there is a convenience store next to the Starbucks at the corner of Henry and Raynor in the Stadium West Parking area. Yes the Dome is on campus and yes they serve beer to the general public since 1980 and not just in the fancy suites. In fact the Dome offers domestic as well as imports and craft beers. A local regional brand is Saranac and they have an outstanding selection near Section 121 concourse. It is worth the walk. 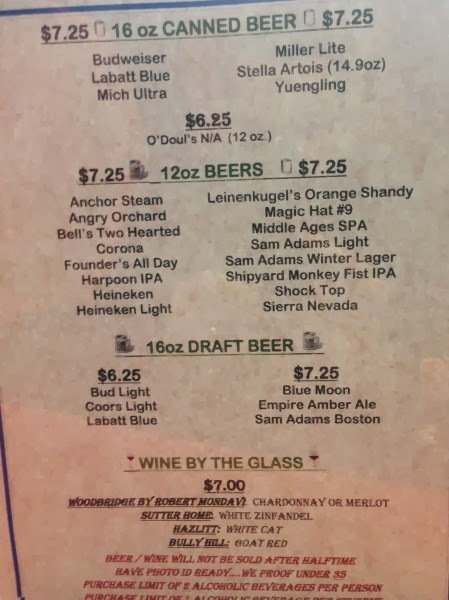 Other craft beers are available too, this is the beer and wine menu near 129. (thanks 690W) Enjoy! Food has upgraded the last few years. I recommend getting a Hofmann Coney or Sausage. Note: The local Syracuse Visitor’s website a good place to help you find addresses and phone numbers for businesses. If you have waited until summer or fall for football weekends the rates around the Dome will be high (local motels traditionally jack up the rates even higher for Parents Weekend over a standard football weekend). Bottom line, if you have a car and want to save money you should look to the suburbs or outlying towns (Clay, Auburn, Cortland, Tully, Oneida, etc…). Note: If you are in dire straits for lodging try this website for some “Mom and Pop” motels. I’ve compiled a list a few places below that all have proximity to the Dome, you can walk to them all or take a Bus/Cab from Armory Square on game day. 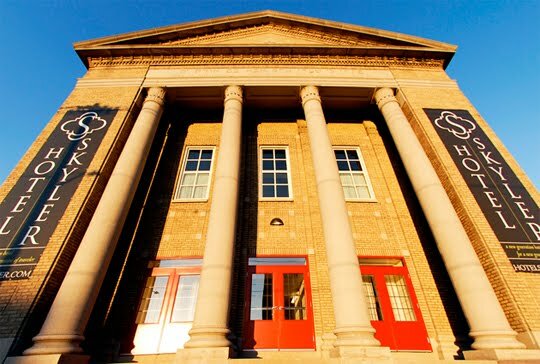 “Hotel Skyler is an eclectic boutique hotel located at the epicenter of the Syracuse University campus. Once a former temple and theatre, this lovingly reclaimed gem boasts 58 expertly appointed guest rooms that mix cutting-edge technology with artisan details for an inspiring and invigorating hotel experience. This hotel is awesome if you want to walk to everything. Tailgating is easily done from here too. Parkview Hotel: A new boutique hotel opened May 2005. It is related to the Genesee Grande property a few blocks away and mentioned below. Bottomline: it is reasonable (mid 100s) and close (about 5/8ths mile away to the Dome). All rooms feature custom fabrics, bright living spaces and flat-screen LCD TV; extended-stay suites also have kitchenettes. The Parkview also provides voice mail, speaker phone, high-speed Internet access and a 24-hour on-site business center with administrative support. Local phone number is #315-701-2600 (you might be able to get a better discount by calling) and they do provide a courtesy shuttle. Crowne Plaza, In 2010 it converted to a Crowne Plaza. It was a formally a Renaissance in 2007. A few years prior to that it was the The Marx Inn. Originally it was built around 1979 and was a Holiday Inn for many years. Many name changes but this hotel is a far cry from the mid 90’s when it still looked like the old Holiday Inn stuck in the 70’s. It is in my opinion a very good value among the upscale hotels near the campus. Located about 5/8 mile from the Dome. Nice on-site restaurant. The place is very clean. Rooms are around $150-250. I have heard Redfield’s is a great restaurant and located in the hotel. A very nice point is the free covered parking lot. Note: If you ask, you can get complimentary shuttles. Genesee Grande Inn They recently did a major renovation–it is just beautiful. It is about 1/2 mile walk to the Dome on the north edge of campus. The pricing varies from the mid 100s and up (Suites). Valet parking is available. The restaurant has received good reviews. 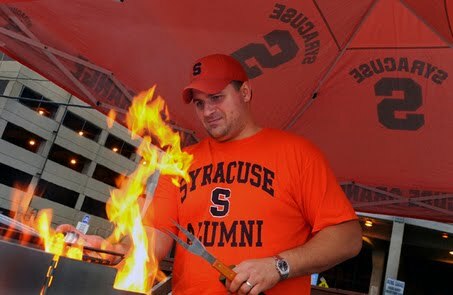 In fact the 1060 Lounge offers their famous Syracuse #44 Burger on game day as well as drink specials. This place sounds real good if you are bringing your wife. Sheraton at the University This is the place to stay if you want to soak up the college experience. It is literally steps from the Dome. It has been extensively renovated in 2011 and looks gorgeous. I always run into somebody famous there on game day. The downside is it is expensive ($200+ a night) and most football weekends will book up early. On game day it has a lot of people mingling and the Hotel sets up a tailgate (fee to get food/drinks) outside for guests and visitors alike. Jefferson-Clinton Hotel (nee Hawthorn Suites) at Armory Square This is my favorite place but that is the problem, it is also with others and is usually booked. The Hotel is across the street from the Trolley Lot and within staggering distance of all the bars at Armory Square. It is amazing what they did to the old Jefferson-Clinton, a one-time “flea bag” hotel in the 70s. If you get lucky with reservations expect to pay $150+ a night for a Queen Euro. Suites are $225+. A hot breakfast buffet is included. Free parking is outdoors in a contracted lot, valet/concierge services available. Two brand new Marriott Properties built together and opened June 2013. COURTYARD by Marriott: The new state-of-the-art lobby at Courtyard provides greater flexibility and choices for our guests. At the center of it all is The Bistro, your destination for a great breakfast, or drinks and dinner during the evening. You’ll also enjoy inviting, flexible spaces where you can work or relax, free Wi-Fi throughout and easy access to the latest news, weather and airport conditions via our GoBoard technology. Plus, our well-equipped fitness center, indoor pool and whirlpool will help you stay refreshed and energized. Whether traveling for business or pleasure, your stay at Courtyard is sure to be more comfortable, more productive and more enjoyable than ever before! 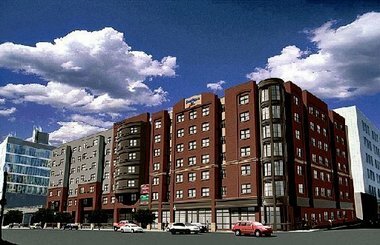 Residence Inn by Marriott: Welcome to the brand new Residence Inn by Marriott Syracuse Downtown® in Armory Square. Whether you’re with us for a few days, a few weeks, or a few months, your daily routine matters. 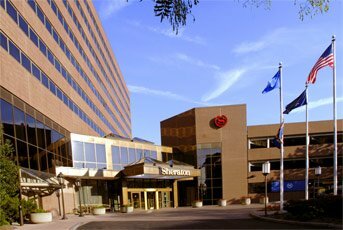 Our downtown Syracuse hotel, minutes from the Syracuse International Airport, offers the conveniences you need. Like our spacious studio, 1 & 2-bedroom suites with separate living & sleeping areas. A fully equipped kitchen is ready for your favorite cuisine. Complimentary grocery delivery service awaits to fill your refrigerator and satisfy cravings. Enjoy our restaurant & bar with free hot breakfast and evening social hours. Connections are unlimited with free Internet access throughout our Armory Square hotel. An onsite fitness center will allow you to strengthen your body and soul. We invite you to relax and unwind in our indoor heated pool. Walk to fabulous restaurants and shops steps from our hotel. The Residence Inn Syracuse Downtown is connected to the new Courtyard by Marriott Syracuse Downtown hotel. Econolodge (2 star quality) on James Street is the cheapest choice downtown. It is undergoing an extensive remodel in 2015. It is about a mile walk to the Dome and about a half mile to Armory Square. They do provide courtesy shuttle to the airport and other locales. The downside is the distance to the Dome and it is near St Joseph’s Hospital. You’ll hear the ambulances. Be advised there are some street people in the neighborhood but the area is as safe as you can expect for an urban downtown environment. The Parking Lot is secure and well lit and the manager lives on site. This is a great place to go with a bunch of guys–probably not the family. I have stayed here several times in the past and have never had a problem. One other option for those on a very limited budget is the Hi-Downing Hostel about 1 1/4 mile from campus. Carrier Circle: There are quite a few motels in the Carrier Circle area. This area is about 3 miles northeast of the university near the Thruway (I-90, exit 35) interchange by the same name. This area offers your largest choice in the area. I’ll mention my favorite value motel in the area. The Quality Inn on Old Collamer Rd. often has rates around $60 and it is in a nice setting. The staff is awesome and you get a free hot breakfast. Use your GPS to find it (trust me). 7th North St/Airport Area: Another area is around the intersection of I-81 and I-90. The Airport Area in North Syracuse has several good deals. A real bargain can usually be had at theEconolodge near the Airport. The property is nearly new and clean and less than 10 minutes from the campus and real close to the next two suggestions. Two newer hotels are aCandlewood Suites and a Holiday Inn Express located about 5 miles N of the Dome at the entrance to the Airport on South Bay Road. I recently stayed at both the Holiday Inn Express Airport and the nearby Econolodge and was quite pleased. They both were very clean properties only about 3 mins from the terminal and very close to several restaurants. They may have rooms available when others are sold out. East of Campus Erie Blvd Area: New in 2010 and close to the Dome are a Holiday Inn Express a few miles east and a Hampton Inn at Erie Blvd and Thompson Road also a few miles east. These two locations have plenty of retail and restaurant options nearby. 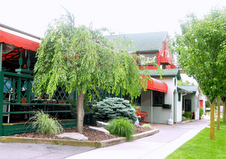 NW Suburbs: If you want something a little different in a motel try the Red Mill Inn in Baldwinsville. It is a neat little village about 15 minutes northwest of Downtown. 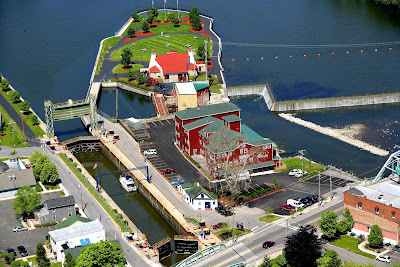 The Hotel is an old mill on an island next to the old Erie Canal. Prices are generally about $100 a night and people have told me it is a great alternative to chain motels. Finally several new hotels opened or rebranded since 2010. Holiday Inn Express (converted from a Wingate in 2010)is about 6 miles NW of the Dome near Exit 39 on the Thruway. 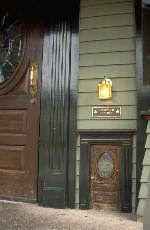 If you are looking for a Bed and Breakfast in the city try Moonstruck Manor on the west side. If you want a romantic getaway town about 30 mins away, I recommend Skaneateles (pronounced “skinny-atlas”)or Cazenovia (pronounced “Caz-a-no-via”). Each village is charming and possesses excellent hotels, B and B’s and restaurants. One of the best lodges (Mirbeau) in the country is located in Skaneateles. Another lodge with an excellent reputation is the Sherwood Inn. 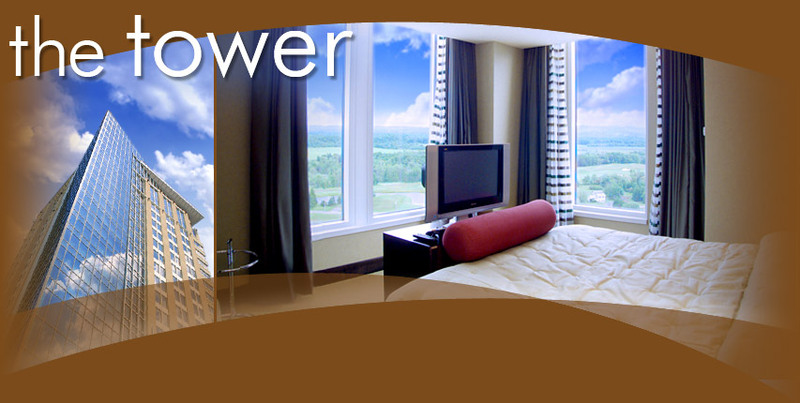 If you are looking for a more casual lodging experience in Skaneateles try Skaneateles Suites. Both Skaneateles and Cazenovia are under 30 minutes from the University. A little bit closer in the eastern suburb of Fayetteville is the Craftsman Inn. The hotel is noted for fine Syracuse made Stickley Furniture. Several neat getaway destinations are away from Syracuse but still close to make the game day drive somewhat easy. If you are coming up from the south the Greek Peak Resort offers Lodging, resort amenities and an indoor water park. It is located about 45 mins south of Syracuse. Another suggestion isAurora it is about 50 minutes southwest of Syracuse on Cayuga Lake and has The Aurora Inn in a quaint setting. It is especially nice in the Fall as it is located in the middle of the Finger Lakes winery region. Be advised you need to book well in advance. For the sportsmen: try a weekend trip of fishing and football. This resort has it all for you about 40 minutes north of Syracuse. Another new Salmon River fishing lodge, “The Tailwater Lodge” has great reviews in the tiny village of Altmar (about 7 miles east of Pulaski and 30 mins north of Syracuse). 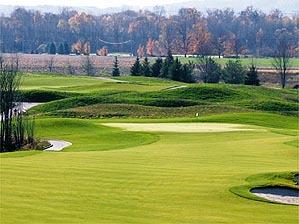 If you are coming from the east or like to golf and gamble I suggest Turning Stone Resort. It is located 30 mins east near I-90. Destiny USA (nee; Carousel Mall)is huge and expanding. It should be able to keep your spouse busy for hours. It is located about 2 miles north of downtown off I-81. The third level has an ever expanding menu of entertainment and food options. It is planned to be a multi-billion dollar destination place with a huge section of outlet stores. This project has been ongoing for years…but really it finally looks like it will become the destination center for Upstate NY as promised. Two other shopping options: Shoppingtown Mall has been an institution in Syracuse for nearly 50 years. It is located near the hotels around Carrier Circle. Locals tell me it has gone downhill over the last few years so it might not be a good choice. The COR Center has a nice mix of stores in a warm village atmosphere typically found in upper income areas, check out the Fayetteville Towne Center property. It is located on the east side about three miles further east from Shoppingtown. Note: There is a nice YMCA located at the development. UPDATE: LL Bean opened an outlet late September 07. Another COR Center is in the northern suburb of Clay. 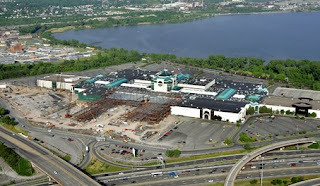 For you Costco fans Syracuse is getting one by Summer 2014 in Camillus (Western Suburb). Sports Clothing: If you forgot a rain jacket or sweatshirt…you have a couple choices on Marshall Street: Shirt World, Manny’s, and Syracuse University Bookstore. You can also try the Marshall Square Mall just behind Marshall Street. This website is marvelous as it offers websites and menus for hundreds of restaurants. It should help you narrow down your search. When you arrive back after the game, a multitude of choices await you in Armory Square. Visitors should check out: Syracuse Suds Factory and world famous Dinosaur Bar-B-Que, and the Blue Tusk (a cool meeting place with an awesome selection of beer on tap). Another really cool bar is J Ryan’s Pub and has 69 beers on tap and very good pub food. 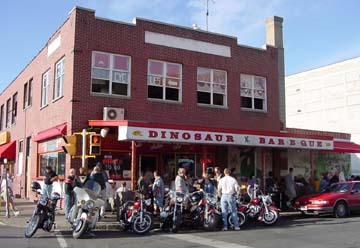 Dinosaur has the best BBQ in the North and the most eclectic atmosphere of any place in CNY. Lemongrass and Bistro Elephant offers upscale Thai-Pacific Rim and Euro=Asian Food respectively as good as you’ll get in large metropolitan areas. Great News! Armory Square has reopened its second brew pub in summer ’07. The Empire Brewing Company shut down and reopened. I visited fall ’07 and it still retained its quality of food and brew before. It is a must for visitors. BTW, the other Brew Pub (Syracuse Suds-mentioned above) is also quite good and has TVs for viewing games. Finally the Syracuse Downtown Committee has put together a nice compilation of where to eat, shop and play in Armory Square. Photo by Lucy Saunders (c) Who does a website about cooking with beer that is very useful for tailgating. Still in Armory Square is a cool Irish Pub with good food called Kitty Hoynes. A nice Italian Restaurant called Pastabilities was one of the original pioneers in the Armory Square area. TheBlack Olive serves Greek/Mediterranean specialties and is located in the Armory Square area. Finally, a new restaurant that has good reviews is the upscale BC Restaurant. Not in Armory Square but a few blocks away by the OnCenter is Ale ‘n’ Angus Pub. It serves awesome steaks, burgers, and other American favorites at reasonable prices. Finally, if you want to cap off a grreat day try bitterSweets Wine Bar & Desserts in Armory Square. NOTE: SOMETHING FOR THE KIDS If you want a neat place to kill a few hours or you have children with you should check out M.O.S.T. it is an interactive science and children’s museum. MOST also has an IMAX movie theater. The City of Syracuse has a good website for visitors that is also worth checking out. Hanover Square is a smaller version of Armory Square but it is considered quite good. Hanover Square is #5 on the linked map is bit more sedate and caters more to the 25+ crowd. The live music scene is alive an well at the Bull and Bear Pub. Bull and Bear Pub offers a Food Menu. If you desire Italian try Anthony’s Pasta Bar. If French is your choice, try L’Adour. Just around the corner from Hanover Square is a nice Restaurant called Traditions of Syracuse at 201 S. Salina Street. Finally, the Downtown Committee has put together a nice compilation of where to eat, shop and play in the Hanover Square area. If you want the college experience you need go no farther than the Marshall Street area (this is the main retail area for Syracuse University just a few blocks from the Dome). Another option is the funky off campus college neighborhood on Westcott Street (between Genesee and Euclid) about ½ mile away. There are several neat little restaurants and bars. If you are staying at the Renaissance, Parkview, Genesse Grande, Skyler or Sheraton the dolce vita world bistro bar/kitchen is nearby at 907 E. Genesee St. It offers Wi-Fi, big screen TVs, craft beers, world-infused cuisine at reasonable prices. Places that come highly recommended in the Marshall Street area (the main student retail center about 3 blocks from the Dome) are Faegan’s Café and Pub (famous beer and food joint for meeting friends), Varsity Pizza (local institution where all SU’s opponents pennants are on the wall. If SU wins a SU player gets the honor to turn the losing team’s pennant upside down) of course has good, cheap NY style pizza, Acropolis Pizza and Cosmo Pizza (two other great pizza places) and King David (Middle Eastern and Greek food) all are on Marshall St. Another new restaurant on Marshall is the huge Chipotle Burrito Chain. King David’s actually moved upstairsand Chipotle is now on the street level. While famous Hungry Charlies is gone, Chuck’s Cafereplaced it. The food is decent but on gameday and the evenings this place is hopping with coeds. A few more places can be found at the “Shoppes at Campus Plaza”. Walk downhill on Crouse just below Marshall Street and turn right into an alley. You can find several ethnic restaurants and bars there. Sal’s Birdland is noted for their Wings and located in the Schine Student Center on campus. While not on the University proper a new Chipotle Restaurant is scheduled to open up soon near on Erie Blvd. 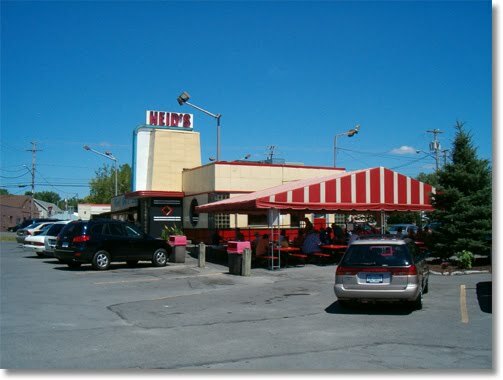 A few other unique places (you’ll need a car) to try: Heid’s of Liverpool is located about four miles north of downtown in the quaint village of Liverpool. The art deco styled restaurant has been an institution for generations of Syracuse residents. You need to try the coney “co-nee” (a white hot). Hoffman white “Coneys” aka “snappy griller” and red “Texas Hots”, made in Syracuse and Served at Heids Here is a video of Heid’s. The Coney and Texas Hot served at Heid’s is actually made by Hoffman Sausage. It is a local treasure and most Syracuse natives prefer no other. Like wise Syracuse prefers Gianelli Italian Sausage. I highly recommend trying them at your tailgate in Syracuse. The Hoffman and Gianelli products are found in the deli/meat section of most CNY grocery stores. 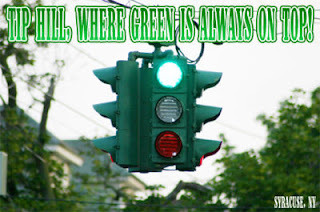 Another unique place is Coleman’s Irish Pub in the Irish neighborhood of Tipperary Hill.Tipperary Hill is famous for having the only green over red traffic light in the USA. The restaurant can be difficult to find so I suggest you print out a good map. The food is excellent and the atmosphere can’t be beat. It has been rated as one of America’s 10 great Irish Pubs. If you want to try barbecue on the north or southwest sides of town the Limp Lizard is for you. It has a legion of devotees (many locals say it good but a step below the more famous Dinosaur BBQ downtown). It also has a biker and blues theme and shouldn’t have the long waits like at Dinosaur. Syracuse has become an excellent city for barbecue (from a Northeast perspective LOL). The North Syracuse Limp lizard location is about 5 minutes from the airport. The other location (Onondaga Blvd) is SW of downtown. A new location has opened on the north side in Liverpool too. However, locals told me to go to the other Limp Lizards. Limp Lizard Barbecue–definitely worth driving to. One more barbecue joint that is as good as you can get down South is Krabby Kirk’s out in the western suburb of Camillus. They serve other food too. Their Pastrami Sandwich is absolutely the best this side of Manhattan. While out in Camillus try two other high end restaurants in theGreen Gate Inn B+B for French Cuisine and the Inn-Between for traditional fine dining. The Retreat Restaurant is located in the Village of Liverpool. (Not far from Heid’s, and close to Onondaga Lake Park). It has great food and caters to fans. Their spacious bar dining area boasts 25 large screen TVs, including our 110-inch high-definition projection TV. If you are coming from the South or Midwest you should try the Clam Bar for excellent seafood. I love their haddock fish sandwich. It is huge! It is located near W. Taft Rd and Brewerton Road ( US 11) also known as “Sweetheart Corner” in North Syracuse. It is about five miles north of Downtown. Parking is located in the rear off South Bay Road. Another famous seafood restaurant in Syracuse is Doug’s Fish Fry. There are a couple locations throughout Central New York. It is especially well worth the drive to Doug’s in the scenic village of Skaneateles. JD’s Fish n Grill also has their legion of devotees. They not only offer seafood but turkey. Be sure to print out one of their coupons. Another excellent restaurant on the north side is Zebb’s in Mattydale. Zebb’s is located right next to the northbound Interstate 81 exit 26, in the Mattydale Plaza, opposite the parking lot from the K-Mart, about 4 miles north of downtown. Zebb’s offers a varied menu with great burgers, BBQ, salads, etc. Another restaurant on the north side is famous for their comfort food. Located about 10 mins north of downtown in Cicero is home to, Thee Diner, it is about 1/2 mile east of I-81 on SR 31 across the street from Cicero-N. Syracuse High School. It offers a diner type menu (most items under $8) with some of the best desserts to be found. If you crave fried chicken and other good fast food try heading over to Solvay (5 mins west of downtown) to Sam’s Chicken Land. They also have great cheese steaks and gyros. The Little Gem Diner just reopened under new management and it will provide you a great breakfast in a classic diner. Another one out in Liverpool is the Gardenview Diner and is very good. Finally Mother’s Cupboard is just excellent for breakfast or any other time. It was featured on Man vs Food. They serve huge portions. If you crave Italian Food you should wander around Syracuse’s “Little Italy”. It is located just north of downtown. Francesca’s Cucina in Little Italy is know for great food. You must try the local specialty “Utica Greens” at Francesca’s. Also in Little Italy is Asti Caffe. They known for their Shrimp Scampi and other Italian specialties. Another Italian restaurant near Little Italy isGentile’s Restaurant, they serve “eclectic Italian”. Finally, the best pastry shop in Syracuse is in Little Italy. The Biscotti Cafe is one of those places you quit your diet for a day. All types of Italian pastries will be sure to please. Biscotti Cafe also offers excellent Italian style sandwiches.Angotti’s (a little less expensive and more children friendly) and located about 3/4 miles east of Little Italy. Another Italian Restaurant located about 2 miles NE of Little Italy in the Syracuse neighborhood of Eastwood is Michael Angelo’s. Michael Angelo’s is an upscale Italian diner/restaurant located in a small strip mall on James St a couple of places down from Mother’s and Friendly’s (more west towards Eastwood). Just opened in January. Their chef/cook is the guy who made the chicken riggies at Antonio’s famous locally. Great food. Recommend the chicken riggies, the haddock sandwich, the lasagna, if it has sauce on it, you are going to love it. Prices are very good as well. One more excellent restaurant is Delmonico’s Italian Steakhouse, located on Erie Blvd East near Thompson Road, not far from Carrier Circle or the SU campus. 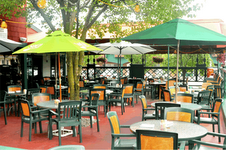 It has become a great meeting spot for people who enjoy huge steaks and great Italian Food. You’ll have to try the 24 ounce steak and pasta for under $20.00! One last excellent Italian Restaurant is Casa di Copani,located about two miles northeast of downtown on Burnet Ave, near Thompson Road, also not far from Carrier Circle. If you crave a great sandwich/sub in the Jewish Deli style then look no further than the Brooklyn Pickle. They have an extensive menu and you will not leave hungry. They are at the corner of Midler and Burnet next to I-690 about 1 mile east of the university. They cater. Phone: 315-463-4969. If you like steak sandwiches, have a big appetite and are on a budget (I am assuming all apply to a college student), I would recommend Second North Deli. Order the house specialty, the Fresh London Broil sandwich. It costs $5.95 for a whole (can’t order a half). Spend the extra .80 or whatever it is to add the mushrooms and the onions. Comes on a great freshly baked hard roll. Just an outstanding value. And while you are there, get an order of their potato chips, made in house, served hot from the deep fryer. Order them extra crispy. If you are looking for a Philly Cheese-steak I suggest A Taste of Philadelphia on the NE side of the city in the Eastwood neighborhood. Finally, another great cheese steak and pizza can be found about 10 mins SE of downtown at Robbie T’s. Good news–walking the campus looking for new sports bars yielded me a new one offering ESPN Gameplan on campus. ZJ’s Pizza and Wings (aka Harry’s) offers multiple screens with ESPN gameplan. It is located at 700 S. Crouse Ave in the basement….look for the CVS drugstore. No website but you can call them to see if they’ll put on your game (315-422-2123). Another place on campus is Chuck’s Cafe(nee: Hungry Charlies) and is located in an alley just north of Marshall Street. Chuck’s is a great place to watch a game during the day. In the local area: If you are looking for good times and good food in a sports bar offering ESPN Gameplan, you need to drive to one of the four Tully’s locations in the Syracuse/Liverpool area. A west side favorite is Rosie’s Sports Pub and Grill located at 1443 W. Genesee St. 315-468-1269. They offer ESPN Gameplan. Another classic sports bar is Buffalo Wild Wings. It is located near Lowes off Route 11 and Circle Drive in the North Syracuse/Cicero area and they offer all the college games via ESPN gameplan, Directv, etc… Another place to check is the Beginning II, it is very close to the Carrier Circle Motel area. I recommend calling to see if they can get your college game as I’m not sure if they offer ESPN Gameplan. Quaker State and Lube has quite a following and is another option to watch games–however it is located about 8 miles NW of the Dome. If you are downtown there is a new sports bar in Armory Square. Gio’s Tavern, Armory Square’s new sports-themed bar, at 207 Walton St., Syracuse, the former Ambrosia nightclub. The pub features 5 large-screen TVs, two pool tables, electronic and steel-tip darts and shuffleboard, plus a LARGE selection of mainstream & craft draft and bottled beer. Also downtown (near Clinton Square) is a new sports bar sceduled to open soon…called the Saltine Warrior Sports Pub. Google it and see if it is open this Fall. Green Lakes is a state course designed by the legendary Robert Trent Jones Sr in 1935. Built on a series of drumlins about 10 miles east of Syracuse, the course is very hilly. Flat lies are rare. Not very long…5920 from the white tees and 6212 from the blues. The greens feature the massive undulations that became a trademark of the young RTJ. Some look like potato chips. Very pretty area. You can see Oneida Lake and the foothills of the Adirondacks from the high points of the course. Closes just after Thanksgiving each year. The course was not well maintained just a few years ago. An extensive irrigation system has been installed and the course is looking better since they become operational. Yardage: reds: 5481, whites: 5920, blues: 6212. If you are staying in the northern suburbs this is a fun course to play. It sits next to the Oswego River on State Route 48 a few miles north of Fulton. It is about 25 minutes from Downtown. It has hills, a little bit of water and no sand but fairly tight fairways in places. It is a real nice value and in decent shape. It is short but you’ll use every club in your bag save your sand wedge. Par 72 plays from about 5400 to 6000 yards. Radisson Greens Golf Club is a semi private, 18 hole layout. It is located northwest of the city of Syracuse, about 20 minutes from downtown near the village of Baldwinsville. The design features large, bent grass greens, tight tree-lined fairways, large bunkers guarding all greens, with fairway bunkers on all but 5 holes. Lakes provide water in play on 6 holes and add to a challenging round for the most skilled player, packaged in a beautiful, scenic layout. Designed by Robert Trent Jones Sr., the course opened in 1978. The course features a number of striking and impressive holes and is arguably the most challenging layout for a public course in Onondaga County (the Turning Stone courses are not in Onondaga County). It is unfortunately not well maintained. Bunkers are rarely raked and the fairways are troubled in some areas. Yardage: reds: 5543, whites: 6360, blues: 7010. Weekend cost: varies…..see the web site. The Links at Sunset Ridge is a relatively new course in Marcellus, about 20 minutes west of the SU campus. Built on rolling hills, the course features some great views of the surrounding countryside and farms. It is consistently well maintained. The course is fairly wide open and has little danger….water and sand come into play on only a handful of holes. Despite having 6 par 5s, it is fairly short. The greens are hard to read and fairly quick. The carts are outfitted with GPS devices. The 16th hole at Links at Sunset Ridge requires a precise approach shot over a large ridge to a green cut into the side of a large hill. Foxfire is a challenging course located just off route 690. about 15 minutes northwest of the city of Syracuse. The well manicured layout meanders through various townhouses, patio homes and private residences. The fairways are fairly tight and most of the greens are protected by several fairway and greenside bunkers. The course is generally well maintained. The is an awesome course and really a very good bargain. It blends an interesting mix of driving fairways and tight carries over water. It is located about 10 minutes east of the Carrier Dome. 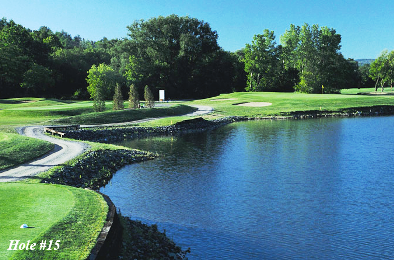 Timber Banks is a high end Nicklaus course built on the Seneca River around a residential community. Nice design. Nice practice facilities. They opened the back nine in 2009 and the front nine just made its debut in 2010. They tout it as a Turning Stone Casino level golf facility with a shorter drive and a lower price. Haven’t played the front yet but based on what I have seen to date, I think that is going to end up being pretty much on the money. Green Fees are from about $40-65. The Oneida Nation Turning Stone golf facility has emerged as the premiere golf destination in New York State. In fact it just hosted its first PGA Tour last September. It features 3 outstanding premium priced 18 hole courses: Atunyote, Kaluyat and Shenendoah. All three are spectacular designs, especially Atunyote, which hosts an annual PGA event the 3rd week of September. All have been built in the past 5 years. All are extremely well maintained. If you have the money and the game, this is the place to go. Note that Turning Stone is a 35 minute drive from downtown Syracuse. It is worth the drive. If you are golf challenged and/or budget challenged, consider playing at the Drumlins West Course. Drumlins is owned by Syracuse University and is located very near the SU South Campus. The West Course is open to the public, features short holes and open fairways and great rates ($18 to walk the course). For you bad weather “golfaholics” I offer Orchard Vali. It is located about 10 mins south of downtown. It is short, rather wide opened golf course suitable for the beginner/hacker or the golfer who wants to get a round in when other courses are closed. 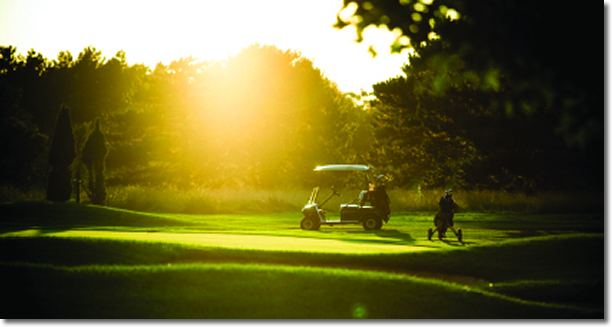 It is noted for the fastest drying fairways in the area due to a gravel base. Rates are reasonable and food is very good. Finally, if you just want to work on your irons the city offers two municipal 9 hole courses. Rates are very reasonable–about $6 but you get what you pay for–don’t expect alot. Burnet Park Golf Course is about a mile west of downtown. Sunnycrest Park Golf Course is about 1 mile northeastof downtown.